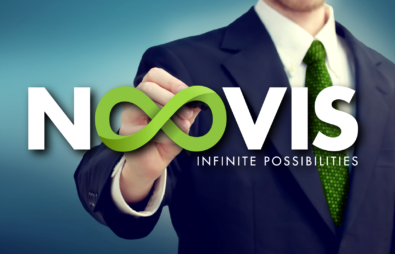 Noovis designs, builds and integrates intelligent networks. Noovis networks support IoT and other future-facing technologies for clients developing Critical Infrastructures, Enhanced Communities and Smart Cities. Today’s networks demand the convergence of varied and unique technologies that previously stood alone on independent networks wasting valuable resources. Our holistic approach to campus and communitywide networks simplifies the network infrastructure while still supporting the diverse needs of our clients. Our Vision is to lead the industry in environmentally responsible, fiberoptic and wireless network solutions for smart-city, campus, large-venue and large-building infrastructure initiatives. Team Noovis, with over 100 years of combined FTTX, PON, fiber, wireless and network integration experience, provides municipalities, campuses, governments and commercial customers with intelligent broadband network infrastructure. Noovis intelligent networks integrate and converge mobility needs, capacity demands and client requirements enabling smart city and client applications that drive today’s users and prepare operators for what’s to come. Noovis and its people provide the environmentally responsible and unique fiber optic network design, engineering and program management expertise required for a successful migration to a converged fiber optic and wireless solution that’s also prepared for future networking needs. Our converged and intelligent broadband network solutions are based on the most recent fiber optic networking technology trends that address today’s intelligent broadband networking needs and prepare your municipality, campus or venue for future networking demands. Noovis-designed networks will reduce CapEx and OpEx while providing simple management, increased bandwidth and carrier class reliability, while incorporating much more robust infrastructure security. Due to their “fiber-deep” approach, Noovis-designed networks will easily handle today’s broadband requirements and prepare your smart city and campus network for future intelligent broadband applications. Our team has extensive experience designing, implementing, engineering and supporting some of the largest metro area and campus networks in the country. Our capabilities include outside plant, inside plant, fiber optic and wireless networks. Throughout their careers, the Noovis leadership team has served in both front-line and senior management positions with some of the industry’s largest and most trusted organizations. Specific to Gigabit Passive Optical Networking and wireless integration, Noovis’ combined 100+ years of experience is broad and encompassing. Some large scale projects include: Verizon FiOS, Sandia National Labs (the largest Federal Government PON deployment), the first commercial PON deployment and Erickson Living (8 campuses of PON, DAS and Wi-Fi). As a result, we have established long-standing business relationships with some of the most respected technology manufacturers. These relationships along with our strong past performance make us a solid partner and advisor for our clients with respect to all of their intelligent communication and converged infrastructure requirements – today as well as into the future. We are proud of our team’s deep knowledge, experience and longstanding relationships in the network space: they embody The Noovis Way. Our passion is leading clients in designing, installing and supporting intelligent broadband and converged fiber and wireless-based smart city and campus networks. Our team welcome’s the biggest challenges that clients face and enjoy working with them to solve their network needs. We’re on a mission to make your network simpler, more productive and more pleasant to deal with…today and into the future. Whether it’s the critical first step of gathering requirements or the implementation and support of a Noovis-designed network, we thoroughly enjoy working in the eco-space of “fiber optic and wireless networking” and partnering with clients who seek the very best intelligent broadband network infrastructure to support their needs.